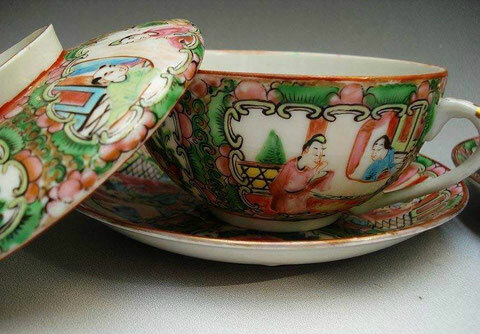 “Guang-color Porcelain”, short for Guangzhou overglazed porcelains, started from the Reign of Emperor Kangxi and was mature in the Reign of Qilang. 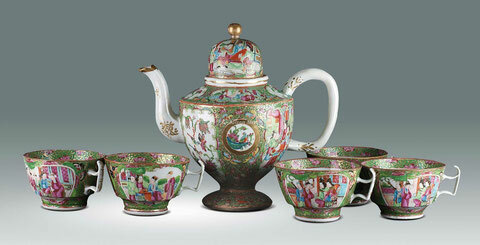 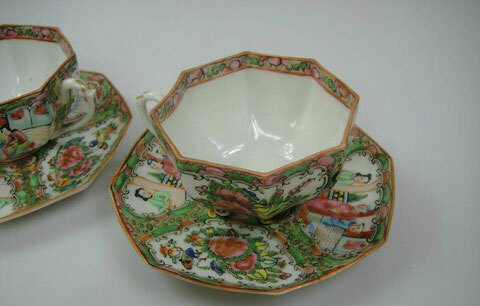 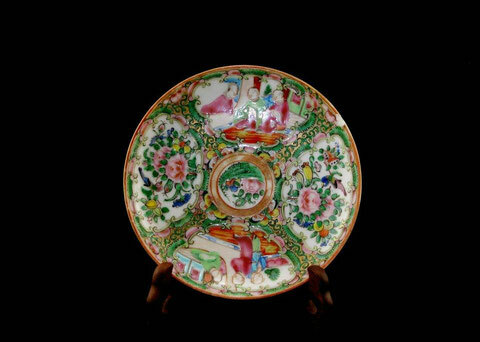 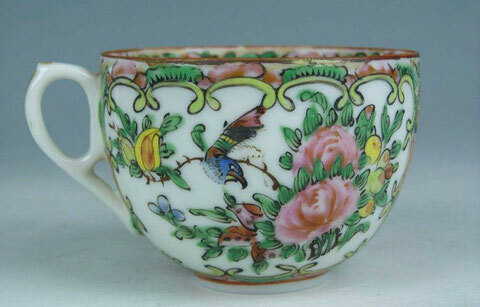 In the past 3 hundred years, Guang-color porcelain has always been one of the main exported porcelains. 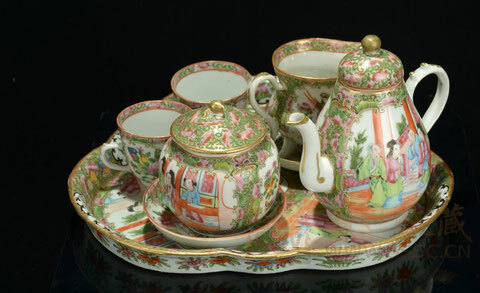 Warmly pursued by foreign collectors, it can be seen in almost every European and American museums. 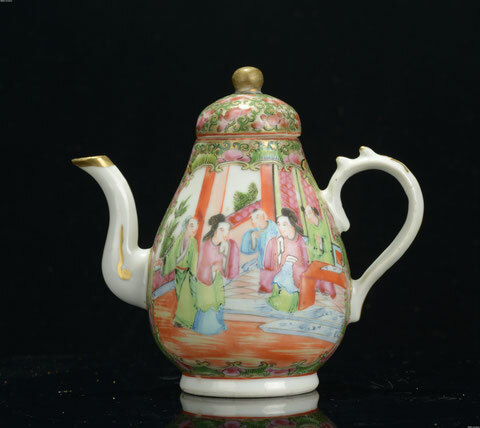 Guang-color porcelain use the skill of brocade pattern, which applies various colors, gold and silver water to crochet, retouch, knit and fill. 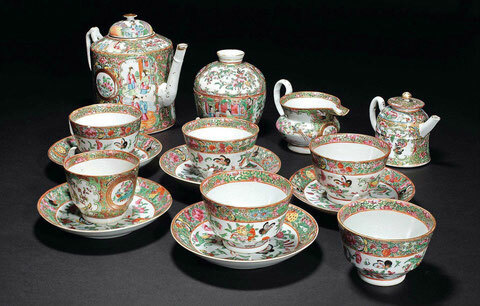 Therefore the composition of the picture looks intense, bright, colorful and splendid, like thousands of gold and silver silk woven on the white jade. 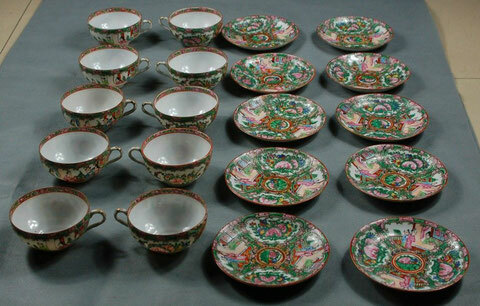 So it also called “gold weaving colorful porcelain”.